I started painting houses when I was a sophomore at Blue Springs High School. After attending Longview Community College and receiving my Associate of Arts degree, I had a decision to make. Continue my education at UMKC or take this painting thing full time. Well its been 20 years now and I haven’t looked back. Honestly, I love what I do. There are very few things to me that are as rewarding as completing a job and seeing my customers reaction to our work. I know that you have many options when it comes to choosing a contractor. That is why we are consistently striving to improve our: techniques, finished product, and customer service. I don’t want a customer for 1 job. I want customers for life. 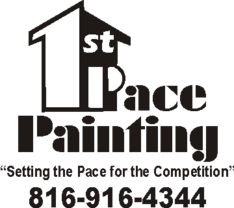 I will provide you with a free no obligation estimate, color consultation, and evaluation of your painting project. I’m so confident in our ability to make you the customer happy that typically there is no money exchanged until the work is finished and you are happy! Please give me the opportunity to come and bid your job. I know that we will make you another happy satisfied customer.